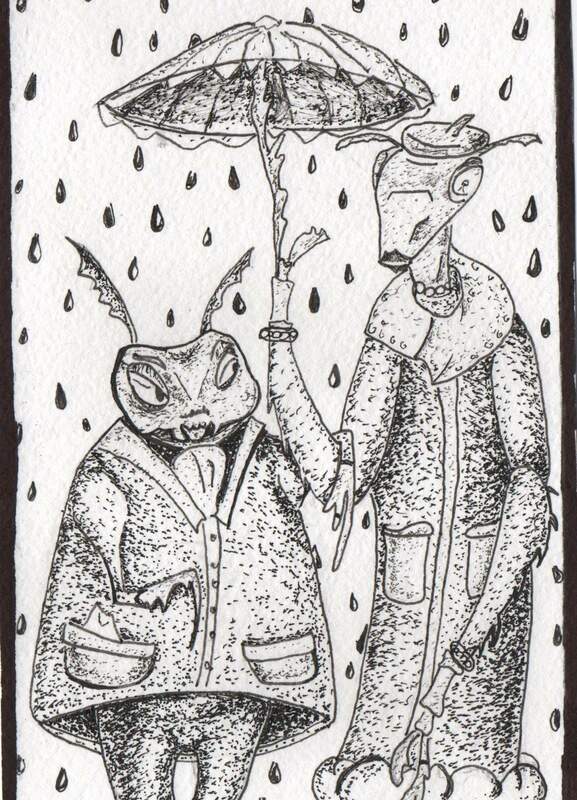 This is the third piece of a series that aims to uncover the secret life of glamorous, and somewhat bizarre insects, who, just like some of us, feel the need to add an air of importance to every little mundane thing they do. Love comes in all shapes and forms when it comes to this univers of insects. Mr. and Ms. Robbins are known to be a true pair of lovey-doveys, and they are not afraid to show one another how much they care about their partner. When they're together, they are pretty much absorbed in their tiny little world and no outside thing can disturb them - not even a cold autumn rain!